Farm Production Loans, Operating Loans and Lines of Credit are available for seasonal or cyclical production purposes. Funds are advanced for the payment of operating expenses during the course of the growing season. The loan is paid from the sale proceeds of the commodity produced. For your convenience, the funds can be deposited directly into your GSB checking account. We offer loans to purchase the farm machinery, equipment and vehicles needed to operate your farm business. The terms range from one to five years. Our loan officers will work to structure your payment schedule to fit your specific needs. We offer long-term financing for purchases of farmland, building structures, and homes on your property. 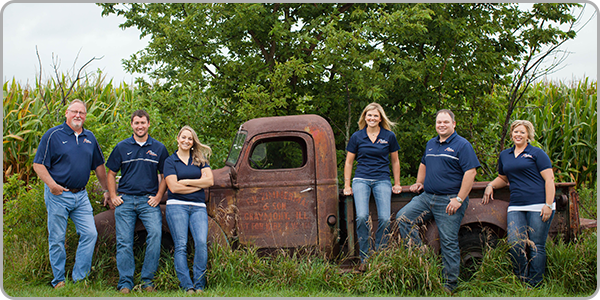 We will structure your real estate loan to match the cash flow of your farm operation. Loan prepayments are allowed without penalty.